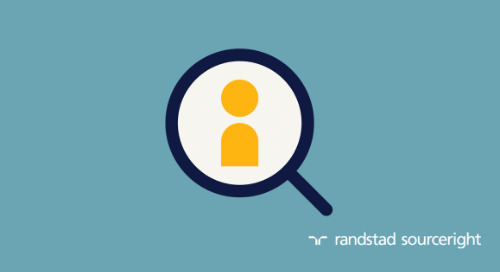 Home » Randstad Sourceright Insights » jump-starting your employer brand: where do you begin? It’s likely you’ve heard conflicting buzz about the subject of “employer brand.” Some will tell you your company’s future depends on it. You have to create a great brand. Others say it means nothing, and no matter how clever you may be, you can’t tell people what to think about your company. So… is your employer brand a big deal or not? Our experience has shown that the answer lies somewhere in the middle. 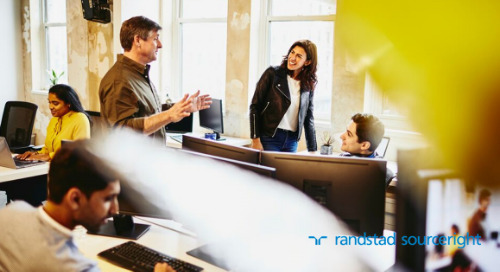 Yes, it is essential to attracting and retaining great talent, but one or two business priorities may rank ahead of it (after all, you can’t have an employer brand if you can’t keep the lights on). And no, you can’t tell people what to think about your company. But here’s why it is important: you and your organization do have the power to shape the way people perceive your company as an employer, and you can build a great reputation to help you attract and retain the talent that drives your success. Helping companies strengthen their employer brands is what I do for a living, so of course I think it’s important. But our clients also understand the role of their employer brand, particularly as they strive to attract and retain great people in an increasingly competitive and fragmented market for talent. In short, you have to stand out from the noise, and the best way to start is to take a look at your employer brand strength and start asking questions. With that in mind, we’ve identified key areas of understanding that can help you begin to make sense of the buzz. Consider these areas, and start looking at your employer brand today. You may not come up with a clever tagline, but you can begin building the foundation for a stronger workforce and successful future for your organization. If you think you know what employer brand means but have trouble defining it, you’re not alone. In fact, we continue to find even well-versed voices in the market talking about employer brand in terms of corporate career sites, talent communities, Facebook pages and Twitter accounts. While these areas are important, they are not the fundamentals. They are channels for building awareness and influencing opinions. The real foundation of your employer brand strategy is the employer value proposition (EVP). The EVP is the answer to an unspoken question relevant to employees and candidates alike: “What’s in it for me if I work here?” Do you know what that answer is today in the minds of employees and candidates? Do you know what they would like that answer to be based on their priorities and values? Do you know what needs to be done to align those answers? If you offer a stable nine-to-five job with benefits and a long career track to an audience of graduating engineers who value flexible hours, challenging projects and innovation, you might have a hard time winning them over. That’s why an understanding of the needs and values of your talent audience is essential. Don’t assume that if you have a great consumer brand your reputation will spill over to your employer brand. And don’t assume the values that you offered to talent in the past will align to the values of all of the people you seek today. Your employer brand must evolve and change as your organization and market conditions shift. Where does your organization’s employer brand stand today? Many, if not most, companies can’t easily answer this question. Whether you have an idea of your employer value proposition or not, your employer brand is active. That’s because people are talking about your company whether you want them to or not. It’s to your advantage to reinforce your brand with real information, rather than relying on just what others are saying about your organization. If you find that your organization isn’t in alignment with the values of your talent constituents, you can’t simply market your way out of it. Real change may be necessary… whether it involves more flexible work arrangements, a different type of project focus, salary and benefits structure or corporate culture. Also, don’t forget that your employer brand is strongly influenced by the candidate experience. If you have a strategy to create awareness, but that strategy drives candidates to a confusing career site, the experience will be negative. The same could be said for the interview process, the ongoing communications (or lack thereof) from your organization or any number of factors. As you gain a better understanding of your organization’s influence on its employer brand today, you can then commit to making the changes need for improvement. None of these changes happen overnight, but knowing your talent audience and how your company is perceived can dramatically improve your strategy. Do you know your talent competition? Would a skilled candidate have a good reason to choose you over that competition? These are factors that companies struggle with every day. The challenge is that traditional industry competitors are no longer the only talent competitors. When looking at whether or not someone would choose your company as part of their career, you are competing with all the other options a worker could choose. For example you may be a well-known retail brand trying to hire programmers to support your digital presence. In that case, your consumer brand may not be helpful, because you aren’t competing against other retailers for that talent. You are competing against Google and Apple and the myriad start-ups that may be looking for the same talent. Likewise, you may be reaching for younger talent that also may be considering working remotely, or as a contractor—or any number of flexible work options. Many people think of an employer brand strategy as a plan for communications and creative development. Often, companies will start the employer brand conversation with a discussion about communications strategy. If you find yourself in this area, you are not alone, but it’s a good idea to re-consider what we mean by strategy. An effective strategy should begin with a careful look at the four previous areas. Understand what your EVP is today and understand what you’d like it to be, based on your market, competitors, and the values of your talent constituents. Once you know where you are and where you want to be, how are you going to move that EVP forward, and how are you going to measure success? An employer brand strategy can involve communications with your current employees, making changes to your work approach (i.e., flexibility, use of contractors, etc. ), or any number of things that have nothing to do with traditional advertising or social media. Remember, it’s no longer enough to just be a good company to work for. You must also be known as a great place to work. getting started: is your employer brand fit for talent? These are five big topics, and each of them is important. Not every company needs to reinvent its brand or embark on a comprehensive EVP initiative. But, even if you are simply looking at refreshing your recruitment marketing and communications strategy, it’s important to know not only what you need to do, but why you are doing it.